Wormy™ Chestnut is the unusual name for a timber that was once the Cinderella of Victorian hardwoods. It was considered to have low value and consigned to menial tasks such as roofing tile battens. But first some history.Wormy Chestnut was a high-value American timber from trees that were all but wiped out by a disease in the early 1900s.Today in the US, it usually available only as reclaimed timber. Auswest Timbers® recognised some of the characteristics of this classic American timber in several species of Victoria hardwood. Is Wormy Chestnut “the next big thing in Australian hardwood”? Wormy Chestnut is not perfect, and that’s its attraction. It is timber with a very Australian story to tell, from the sinuous trail left by scribbly gum moth larvae as they search for nutrients under the bark, the peppering of pin holes by ambrosia beetles, and scorching by fire and lashing by rain. It’s all there, on display in the milled timber, imparting a character and uniqueness that cannot be manufactured or grown in plantation timber. No two pieces of Wormy Chestnut are alike. The character marks vary in placement and intensity (or indeed, presence) as does the timber’s colour which ranges from browns through pinks. Wormy Chestnut is crown cut, a milling process that emphasises its unique character marks. 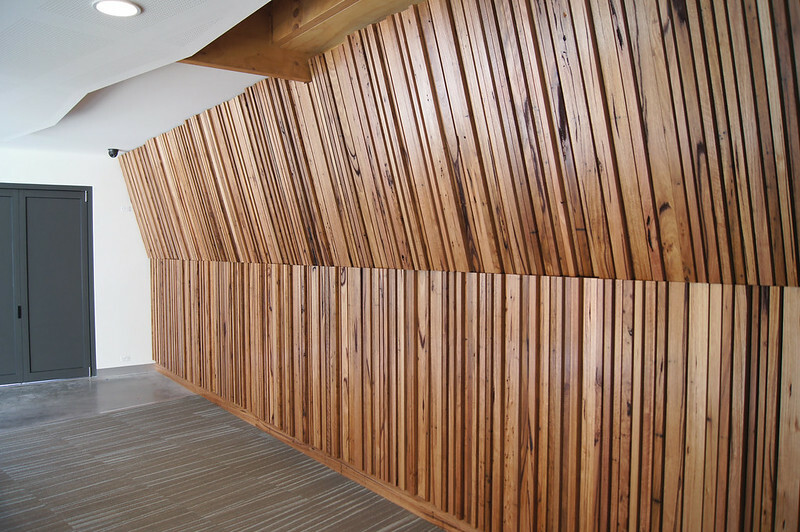 The timber is very dense and requires air drying before being kiln dried, to prevent bowing. However it is still easily workable by conventional woodworking machinery. What is Wormy Chestnut? It’s not a single species but a blend of three eucalypts native to Victoria’s south-east. Their harvesting is controlled by VicForests, the Victorian Government business responsible for the sustainable harvesting, regeneration and commercial sale of timber from Victoria’s public forests. Their operations are certified under the Australian Forestry Standard and internationally recognised by the Genevabased PEFC (Programme for the Endorsement of Forest Certification), the world’s largest forest certification scheme which covers two-thirds of the globally-certified forest area.VicForests is also a member of the Forest Stewardship Council. 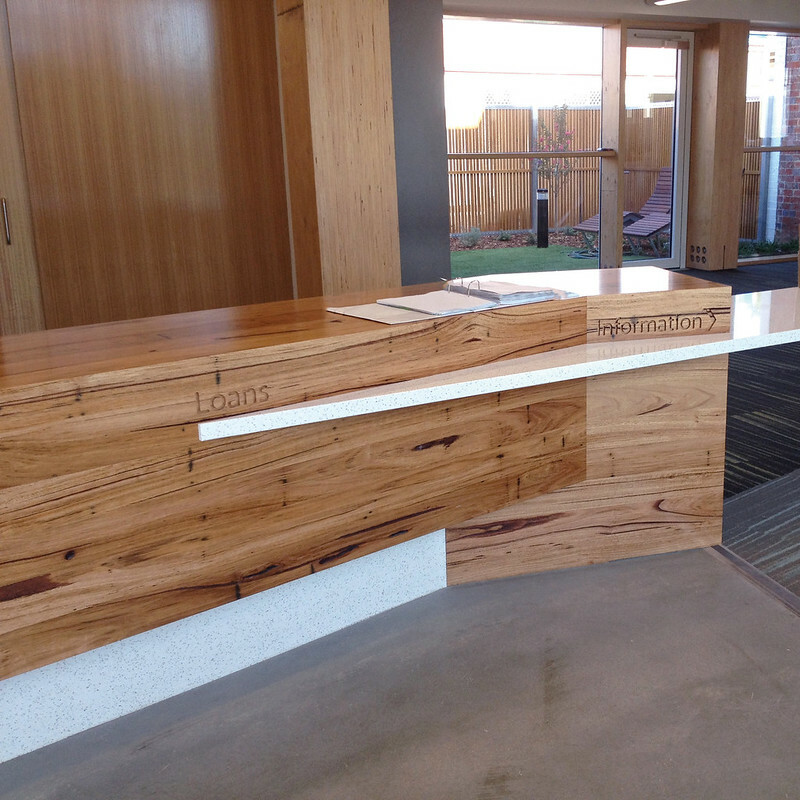 Having been dubbed “the next big thing in Australian timber,”Wormy Chestnut is finding a ready home as character flooring, in commercial fitouts, and as furniture timber. 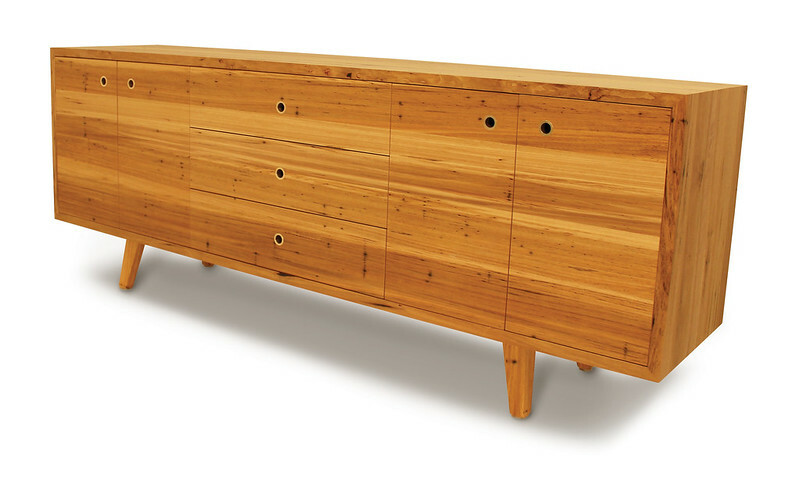 A Melbourne furniture manufacturer,Total Bedroom, is using Wormy Chestnut to make upmarket architectural-quality furniture such as dining tables, buffets, entertainment units and bedroom furniture.The volume end of the residential furniture market has been decimated by imports prompting Total Bedroom to use this unique timber to stay one step ahead of his competitors. 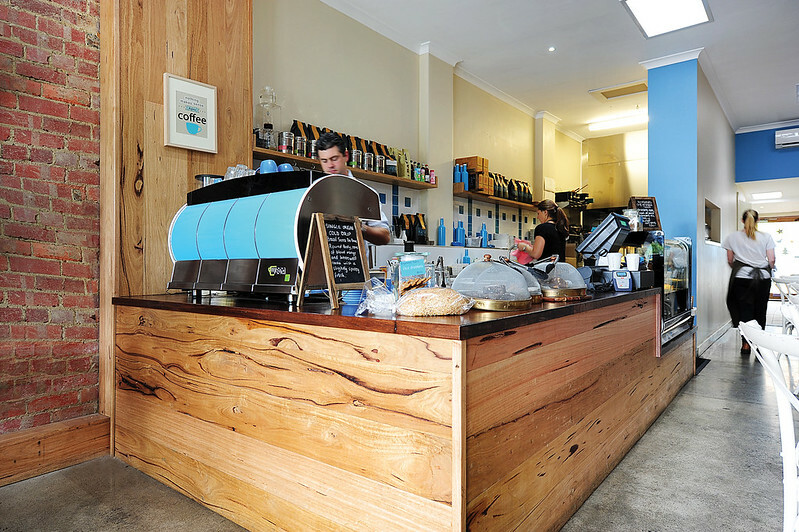 The company also uses other imported and local timber species such as spotted gum and American oak but the face of Stace Karikas, Total’s owner, lights up when he talks about Wormy Chestnut. “It’s the character of it, the grain feature, the natural worm holes and where the fires have gone through, all that smoke from the forest fires, and the bugs boring through it leaving their mark. It just looks alive!” he says enthusiastically. 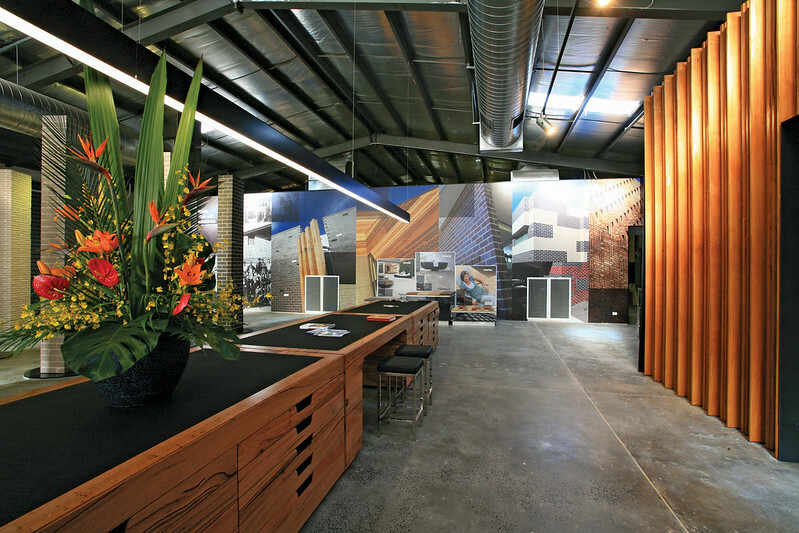 Now Architecture selected Wormy Chestnut for the redevelopment of the Bairnsdale Library in regional Victoria to create a folded timber wall for the meeting room, and a distinctive information desk. Wormy Chestnut has also been used in a number of commercial fitouts such as cafes and restaurants, including Schnitz fast food outlets in food courts dotted around Melbourne. Hardwood flooring is remarkably popular and Wormy Chestnut is rapidly developing a following in this market. 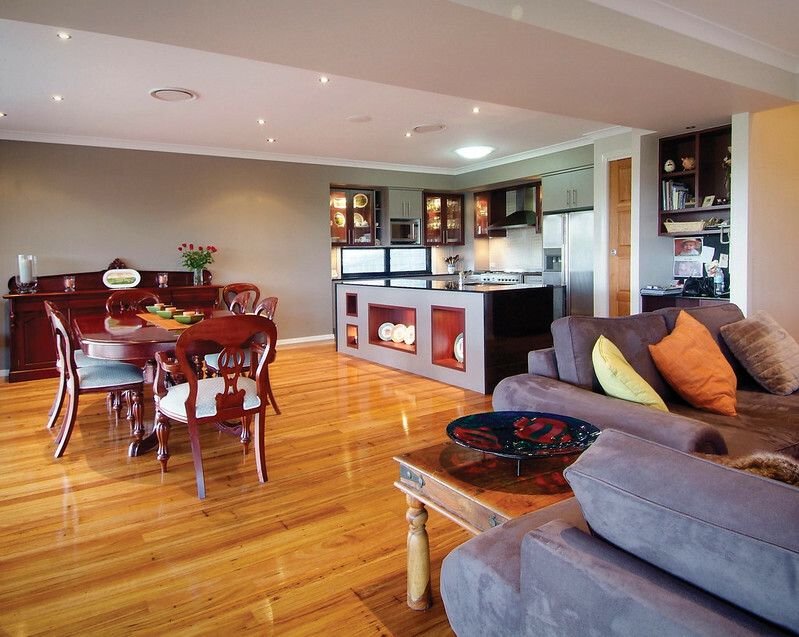 It is valued for its hardness (an average value of 8.1 across the species), workability and of course that uniquely Australian character.A suitable coating is all that is needed to enhance and protect Wormy Chestnut flooring. Wormy Chestnut tongue-and-groove boards are available in three widths – 85, 130 and 180 mm – and in two thicknesses and a range of end conditions. Wormy Chestnut is also being marketed in China,Vietnam, South Africa and, appropriately, the USA. With Auswest Timbers as its fairy godmother, this distinctive timber with the funny name will be sure to go to the ball!